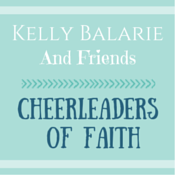 a step of faith - guest post on young wives club. I am honored to be sharing over at Young Wives Club today! Take a moment to read about our step of faith towards adoption --- and prayerfully consider what step of faith God is asking YOU to take in this season of life! "Friend, whatever season of life you’re in, I’d like to invite you to ask God what step of faith He is asking you to take. And then, I’d like to encourage you to take it. Believing He is who He says He is, and He’ll do what He says He’ll do. Knowing that you are His beloved and that He will never leave or forsake you. Today, commit to putting your faith into action!"